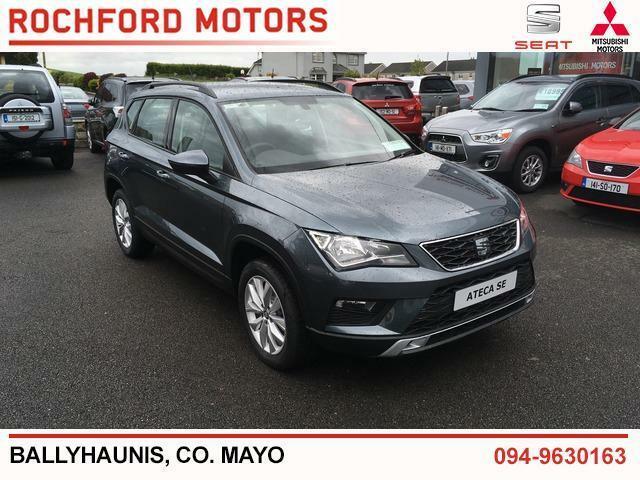 Rochford Motors are Approved Main Dealers for SEAT and for Mitsubishi cars and commercials. We are located in Ballyhaunis, Co. Mayo and have cultivated a customer base all over the West of Ireland and beyond. We are ideally located for motorists throughout Mayo, Galway, Leitrim, Roscommon and Sligo. Rochford Motors is a one stop shop for all your motoring needs. We supply new and used cars, vans and 4x4’s, offer a fully equipped service workshop, tyre and valeting services, car finance and an RSA approved CVR Light Commercial Test Centre. Our stock list and service specials are updated regularly so please check back for new offers.